In the fall of 2013, Richard Lowden underwent surgery to repair a shoulder injury he suffered while snowboarding. All he wanted was to be able to play with his daughter, throw the Frisbee for his dog, and hit the slopes again, but his recovery was complicated by one simple thing – he couldn’t sleep. After the third night of waking up every few hours, his hand numb and his elbow throbbing, he realized that the pain wasn’t just from surgery. His sling, which he had to wear day and night, was restricting blood flow in his arm and making it nearly impossible to get any rest. So Richard and his wife decided to do something about it. They bought some foam blocks, an ace bandage, and with a little ingenuity, fashioned the first SleepSling prototype. The device cushioned his arm and allowed him to bend his elbow, and while it didn’t look like much, it worked like a dream. Immediately, Richard was sleeping comfortably through the night once again. After doing some research and learning that more than half of shoulder injury and surgery patients were having the exact same problem, he decided to share his invention with the world. With the help of his surgeon, Dr. James Chen, and his physical therapist, Sturdy McKee, Richard transformed his prototype into the SleepSling you see today. Together, they are dedicated to making restless nights with conventional slings a thing of the past. ﻿DR. JAMES L. CHEN, M.D. Dr. James L. Chen is an award-winning orthopedic surgeon and instructor at the San Francisco Orthopedic Residency Program and UCSF School of Medicine. Specializing in sports medicine, Dr. Chen has worked with the USA Sevens Rugby team, Oracle Team USA, and currently serves as a Neutral Physician for the National Football League. His expertise has helped refine SleepSling into the safe, effective, and easy-to-use device that it is today, and he couldn’t be happier that his patients can finally experience restful recoveries from their shoulder injuries. ​Richard Lowden has worked in the marketing industry for over seventeen years. 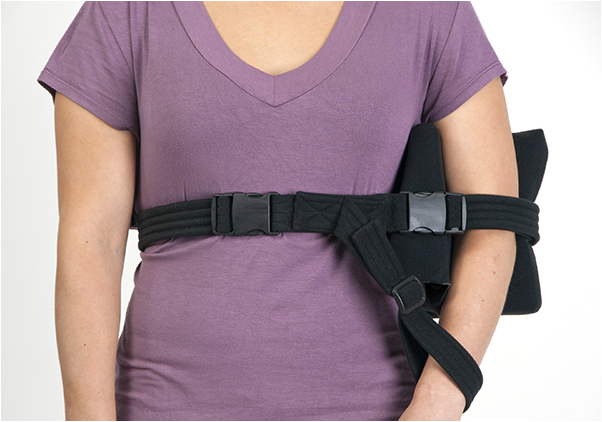 But when his shoulder surgery introduced him to the discomfort of sleeping with a conventional sling – an issue suffered by more than half of all shoulder injury and surgery patients – he decided to branch out. With the help of his surgeon and physical therapist, Richard developed SleepSling, the world’s first sling designed to give you a great night’s rest. He’s made it his mission to help everyone have speedy, comfortable recoveries and make restless nights with conventional slings a thing of the past. ​A co-founder and the CEO of San Francisco Sport and Spine Physical Therapy, Sturdy McKee has been a practicing physical therapist for over 18 years. He also sports a diverse background as a graduate- and undergraduate-level educator in the fields of Kinesiology, Business and Management, and English as a Foreign Language, and serves as an advisor to several medical technology startups. Sturdy is passionate about helping others succeed, and his extensive experience has made him an integral part of the SleepSling team.